Why The Brine Template Family Is The Best Squarespace Template | JNL Media Co. I wrote a blog post a couple of months ago on why I chose the Brine family template as the template for my website and it’s still one of my best performing blog posts! So, I thought I would write a blog post on why the Brine family template is one of or if not THE best template on SP right now. When to know it’s not a good fit for you. 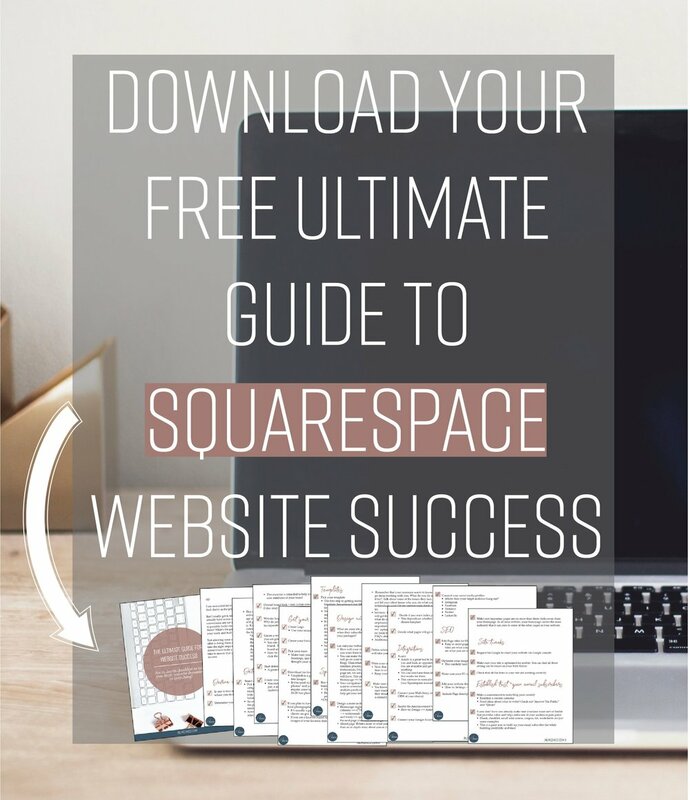 Choosing a template is literally the first thing you have to do when starting a Squarespace account BUT you shouldn’t jump to a conclusion before actually doing your research. If you already chose your template and 1) don't know if you made the right choice or 2) hate it but don't know what to now then it’s ok, just breathe! Like most things in life, your template decisions isn’t final! You can change your template at any time but it's important to note that templates affect the style, layout, navigation, and special features of your website. This means that when you change your template you will lose out on your style editor features, CSS code, and other template specific features. Also, when you take a look at the 100 active Squarespace templates don’t base your decision on which template matches your industry. For ex: If you run a yoga coaching practice don’t pick your template simply because it showcases a yoga studio. I can see why this might sound counterintuitive but stick with me here. It is always best to choose your template based on functionality not the design on the demo template. You might have noticed that the title of this post said “the Brine template family” rather than the “Brine template” and there is a reason for that. Brine is both a family and template but don’t let this confuse you. Template family: A group of templates that share the same functionalities therefore different templates in the same family have the same functionalities. This means that whatever template you choose within the Brine family will accomplish the same look since they share the same underlying capabilities in terms of what the template can do. Ok, so now back on why the Brine fam template is THE best template out there. If you’re a creative entrepreneur or small business owner then odds are the brine template family is perfect for you BUt there are some cases in which it might not be the best fit for you. Side note: The summary block allows you to create a faux side bar so now your sidebar dreams can come true! I wrote a blog post about how to do this, check it out here. Well, there you have it! I hope I was able to convince you to give the Brine family template a go! Let me know if you have any questions.